Living in an era of information explosion, people nowadays are thinking about how to digest this much information and extract the most useful one efficiently and effectively. To achieve this goal, SuperGIS Desktop enables you to summarize all information into a map and allows you to display it precisely. For a GIS analyst, managing assets, distributing resources, analyzing spatial patterns, and creating data are all basic tasks to do every day. 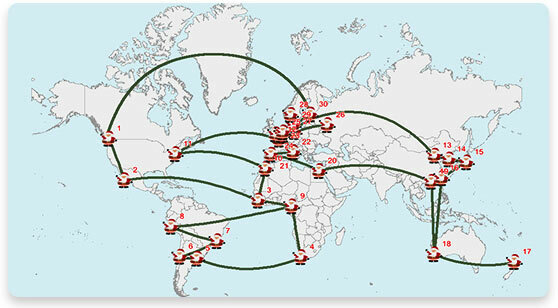 With the help of SuperGIS Desktop, you can finish these daily missions in a more efficient way. 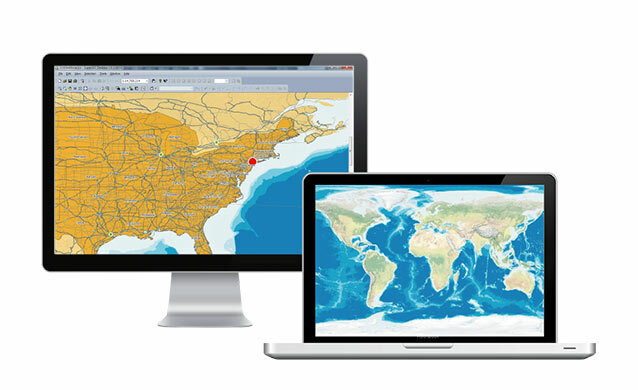 After installing SuperGIS Desktop, no longer will you feel overwhelmed by too much information. 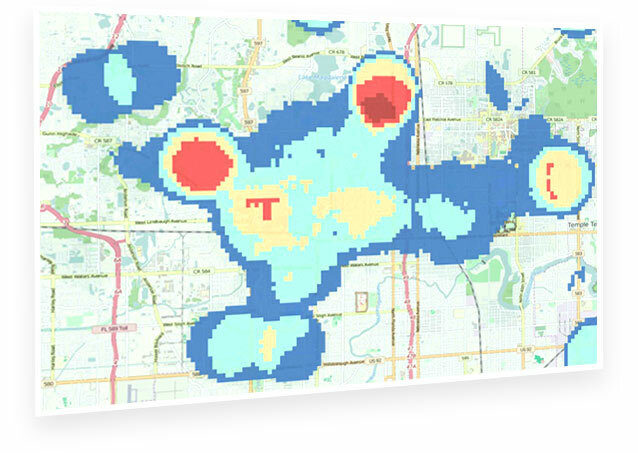 SuperGIS Desktop helps users to discover differences, recognize patterns, and figure out possible solution for various issues. 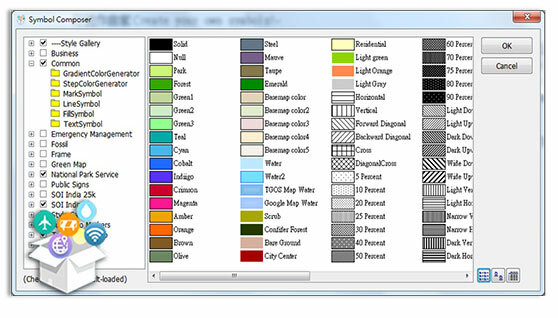 Various tools and features are provided by SuperGIS Desktop, for example, proximity analysis, overlay analysis, extract analysis, projections transformation, table processing, georeferencing, database management, and so on, which will absolutely meet your needs under any circumstances. Supergeo believes applying desktop GIS should not be a privilege of organizations with abundant budgets. 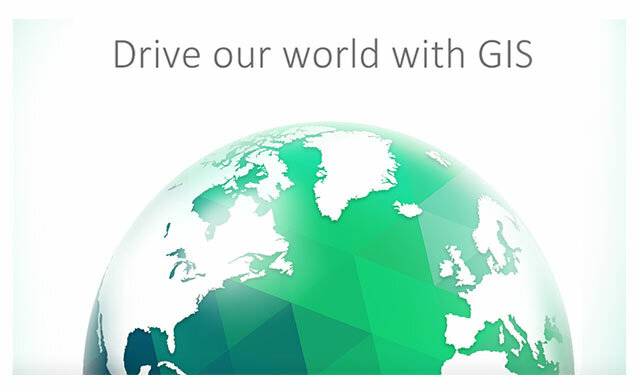 Therefore, we provide an affordable desktop GIS for everyone, making our world a better place. 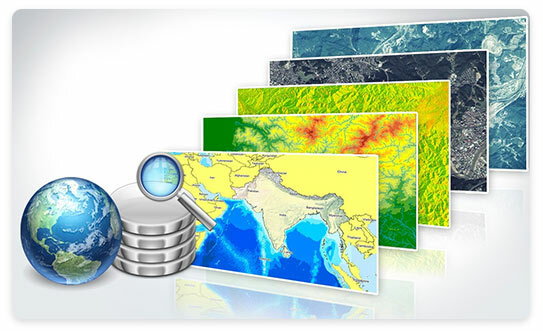 SuperGIS Desktop contains various add-ons and extensions, allowing you to explore geospatial data in diverse ways. You can discover unknown relations, estimate values and find patterns with these feature-rich tools. The Process Designer allows you to establish and automate customized geospatial workflows. By batch processing, you can complete complex tasks with least time and efforts. 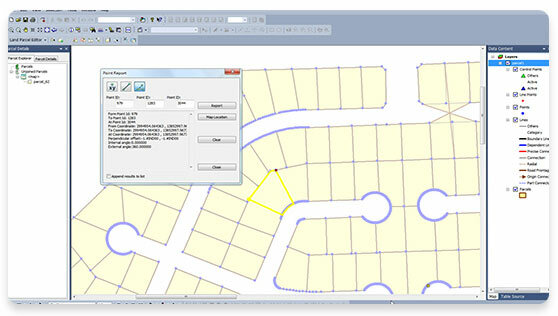 You can also publish your workflows via SuperGIS Server, making them accessible anytime, anywhere. With Symbol Composer, you can manipulate properties of the symbol. The customized symbols are stored individually, so you can reuse them in other computers. OpenStreetMap and OGC services, such as WMS, WCS, WFS, WMTS, are supported in SuperGIS Desktop. By connecting to external services, you can find more information than you have ever expected. With COGO and Land Parcel tools, you can display and edit high precision surveying data with ease. Furthermore, the LiDAR tools empower you to display and edit data both in 2D and 3D environment. 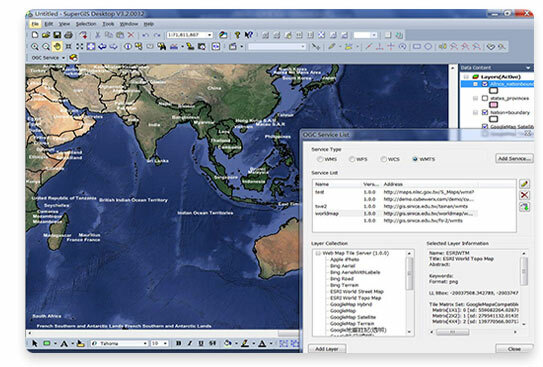 SuperGIS Desktop supports various spatial databases, such as Personal Geodatabase, SQL Server, Oracle Spatial, and PostgreSQL, allowing multiple users to edit data simultaneously. The enterprise users can also read spatial data via SuperGIS Desktop in an easy and efficient way. Convert your data into network data and use it to find the best route! With Network Analyst, transportation planners can find the shortest route to deploy their vehicles and staff. 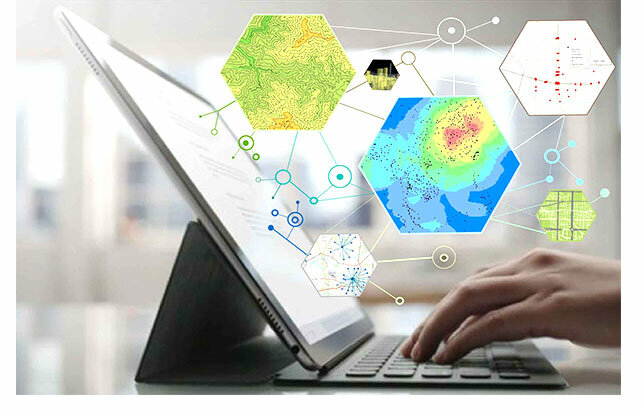 SuperGIS Desktop provides various tools for spatial data processing and analysis to enable users to identify geographic patterns, build models, and then make predictions and informed decisions. 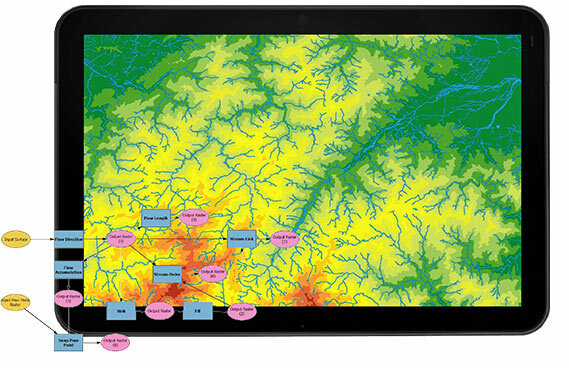 Supergeo has defined three editions for SuperGIS Desktop to help people find the most suitable GIS solution according to their needs. Please check the following sections for the functionality list in each edition. Functions marked in green are new in SuperGIS Desktop 10. Supergeo does not publish pricing information for SuperGIS Desktop online. Please contact Supergeo Reseller that serves you for detailed pricing information and the most suitable licensing option. Software maintenance is also included in the license of SuperGIS Desktop. It includes technical supports and updates within the same version. For example, with a valid maintenance, users can upgrade their 10.0 to 10.X without additional cost. SuperGIS Desktop is geographic information system (GIS) software for creating, visualizing, managing, and analyzing geospatial data. 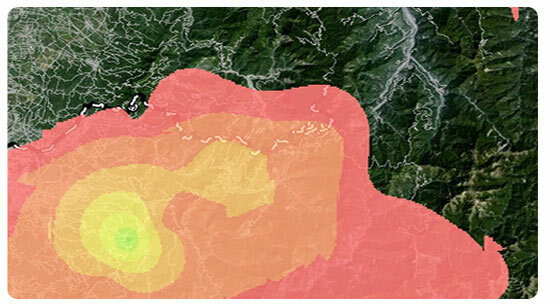 By using SuperGIS Desktop, you can easily process various geographic phenomena and make smarter decisions. 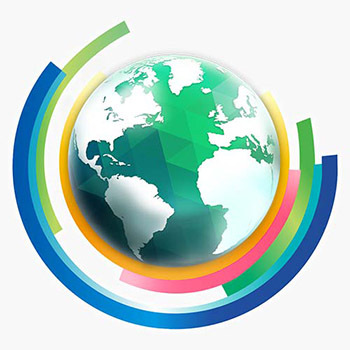 Download SuperGIS Desktop and experience it in 20-minute intervals at no cost. To get a trial code and fully experience the software at no cost within 30 days, please send us an email with your name, organization, and how do you know us.